I don’t talk about, much less “review,” much hardware on this blog. 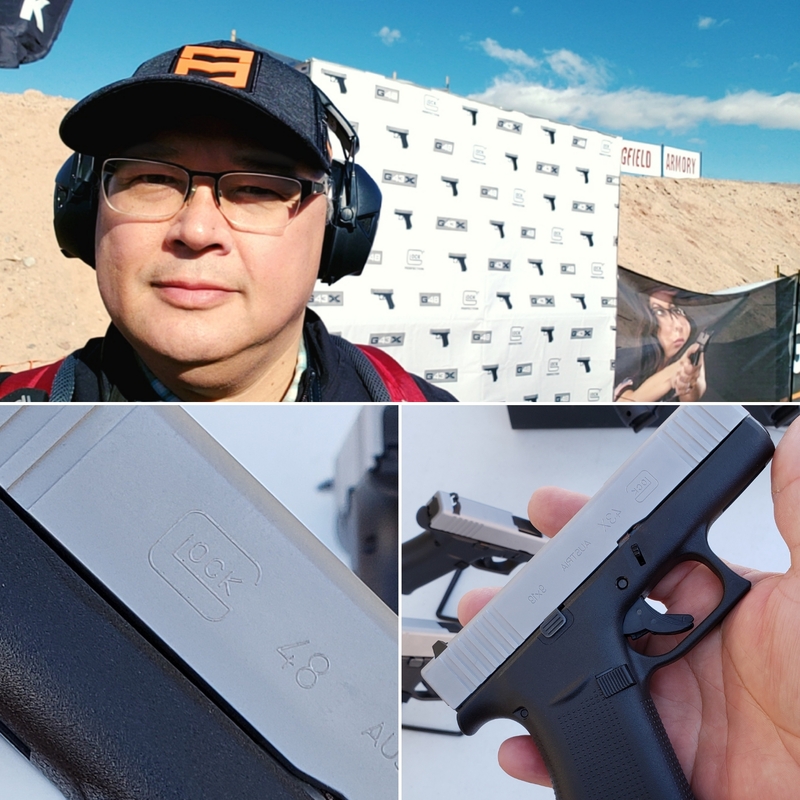 But because I carry a Glock 43, I made a point of stopping by the Glock bay at the National Shooting Sports Foundation’s SHOT Show Industry Day at the Range to check out the new G48 and G43X slimline 9mm pistols. It is easiest for me to think of the G48 as a slimmed down G19, with a 10 round rather than 15 round magazine capacity (it actually has a slightly longer barrel at 4.17 inches compared to the G19’s 4.02 inches). The G43X, therefore, is a cross (get it?) between the G43 and the G48. The G43X has the same barrel length as the G43 (3.41 inches) but the height and magazine capacity of the G48 (10 rounds and 5.04 inches). The 43X and 48 magazines are interchangeable in fact. I found both guns to be comfortable in hand and they put bullets where I aimed when I used good shooting mechanics. There is less than an inch difference in length between the G48 and G43X, and less than an inch difference in height between the G48 and G43, which makes the G48 kind of a no-brainer for someone who hasn’t already invested in a G43 and wants to own a single stack Glock for everyday concealed carry. Since I’ve already invested in the Glock 43, I might instead test something I saw on the floor of the SHOT Show later in the week: the FAB Defense 43-10 magazine floor plate replacement that turns the G43 from a 6+1 to a 10+1 gun (MSRP around $25). 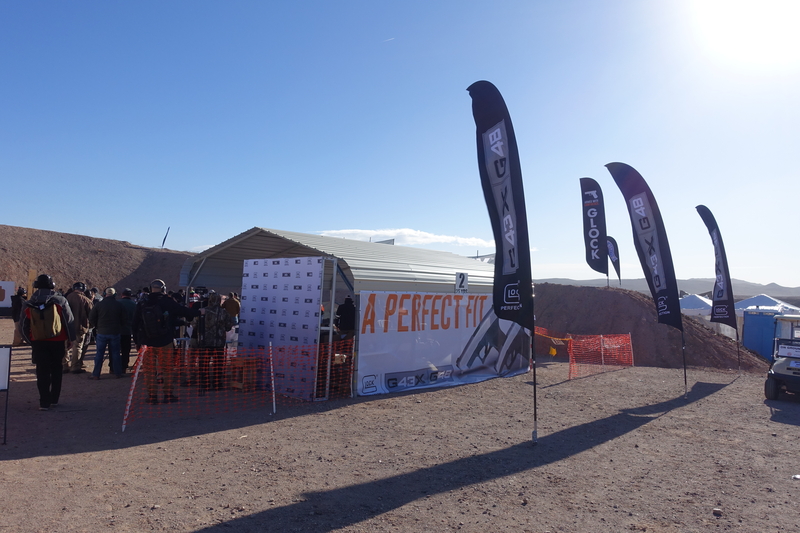 Tags: Glock, National Shooting Sports Foundation, SHOT Show. Bookmark the permalink. I shouldn’t make the mistake of thinking “well that doesn’t work for my life, so obviously it’s garbage,” but I really can’t understand the whole Glock 48 thing at all. You lose 5 rounds and gain 1/4” thinner? That’s it? To me it doesn’t seem like a good trade. YMMV, I guess. My prediction, they will sell about a bazillion of them despite what I think. For some of us even 1/4″ thinner is not exactly comfortable, and the added weight of the extra size and rounds makes it even less so. If I could carry a Glock 19 everyday I would just carry a 17, and if I could carry a 17 then I would just carry a 34. But I can’t so observe the first rule of gunfighting, have a gun.